The indirect free kick is an important part of football, but not raising your arm can cause serious problems. 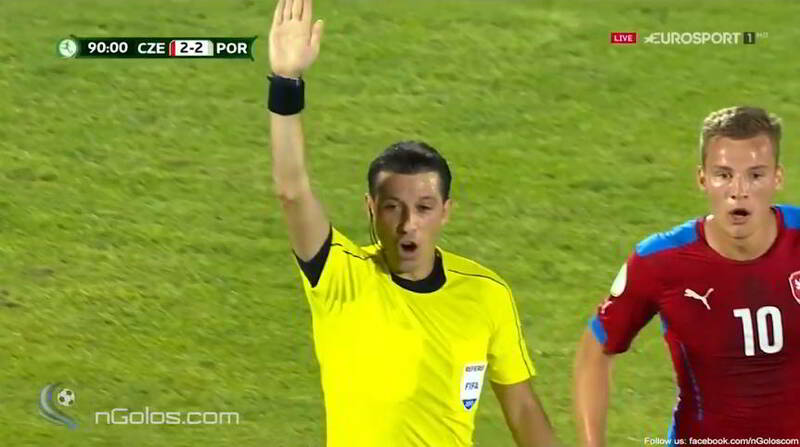 In the Euro u19 game between Portugal and the Czech Republic the referee forgets to raise his arm. Usually no big deal, but it is when a team scores directly. An interesting case study. It’s the group stage during the youth European Championships. Portugal plays against the Czech Republic team. It’s exciting, because it is only 2-1 in favour of Portugal. In the 90th minute the Czech team receives a free kick at the halfway-line. Analyse the clip for yourself. What do you see during the video? 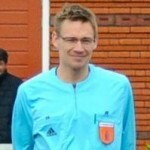 How does the referee act? How do players react? If you analyse your own games, always stick to the facts first. In the video you can’t see the foul, but lets assume it is an indirect free kick. The fact is: the referee doesn’t rais his hand in the air. The player kicks the ball, but nobody touches it before it enters the goal. The referee points towards the halfway-line so it seems like he allows the goal. Czech players cheer and celebrate the equalizer, but then the referee changes his mind. Maybe his assistant referee or fourth official gives advice. That is not clear from a video with highlights. You’ll see in the clip that players realise the referee disallows the goal. He signals with his arm it is an indirect free kick and you can’t score directly from it. That is true, but what is the correct restart? So far, so good. But here comes the tricky bit. 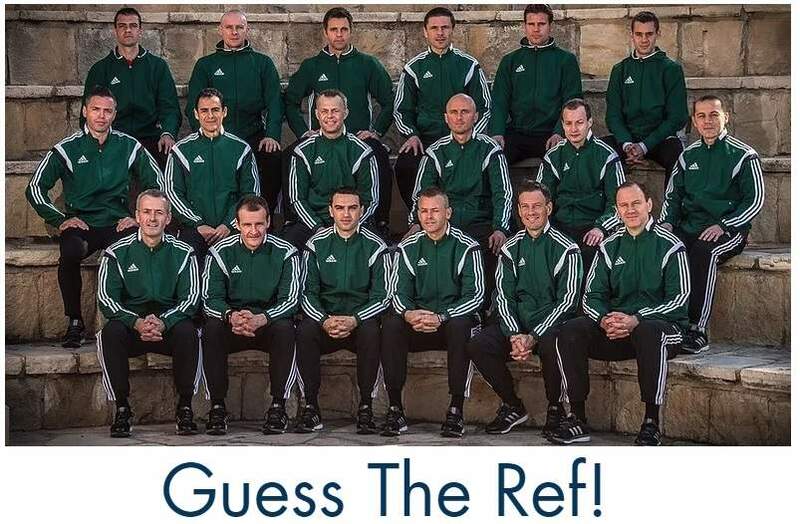 “An indirect free kick must be retaken if the referee fails to signal that the kick is indirect and the ball is kicked directly into the goal.” So if the referee does not raise his arm and the ball enters the goal, the kick is retaken. Posted in Blog, case study. This is a good article. It is very important to explain to the player, via our body language, the decisions(indirect free kick or direct). As you can read in Gil’s comment, it was difficult to remember, because a lot of things happend right before the restart of the game. This is a very useful & effective topic. Good learning experience for me. Good to know it is useful for you. Hopefully can publish more case studies later on. What would happen if the ball went in to te payers’ own goal from an indirect free kick, without touching another player ? In this situations the restart is the same. A retake of the indirect free kick. The LOTG mention “into the goal”. I guess then it’s irrelevant in which goal. In other situations IDFK’s in your own goal result in a corner kick. Would it be a retake? With every other restart, you cannot score directly on yourself and the restart is a corner kick. Since a DFK and IDFK would both result in a corner kick, does it matter that the referee didn’t signal and the ball went directly into the team’s own goal? But this ball went to the opponent’s goal, so then it causes problems. See comment below by Emil about it. Jan, it’s a great clip. But too bad you don’t have the complete video because that makes it clear how the entire mess came about and gives an indication of why the referee failed to raise his arm. 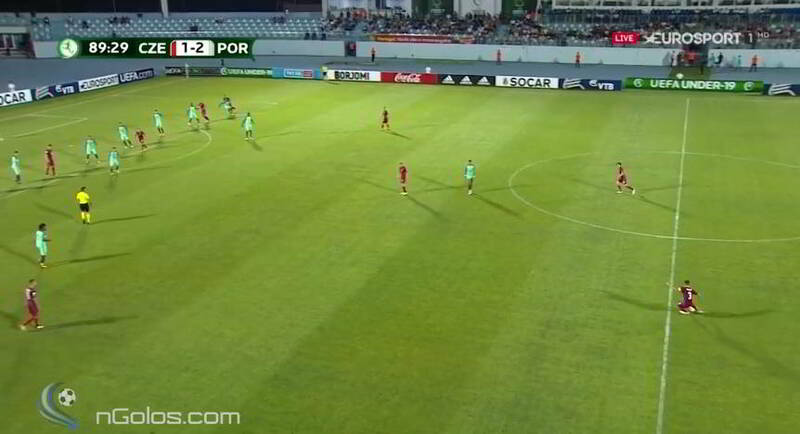 Immediately prior to what your clip shows a Portuguese player was called offside. That’s the reason for the indirect free kick. Then immediately (before the kick) the Portuguese made a substitution. Then when that was completed the referee whistled for the Czech free kick. Apparently during the time the substitution was taking place the referee just lost track of (forgot) the reason for the free kick and did not raise his arm. The rest is as you describe except for another interesting piece missing from the video clip. First the referee points toward the center circle to indicate a goal, but when someone (an AR or maybe 4th official?) reminds him it was an indirect free kick he cancels the goal. That’s fine, but then he compounds the error with the restart (which is not shown in your video clip). The referee awards a goal kick to the Portuguese instead of retaking the indirect free kick as the Laws of the Game specify. A terrible mess all around. I’m guessing the referee was grilled afterwards by the match assessor/inspector. Thanks for the elaborate comment explaining it all. I have never seen why it was an indirect free kick, but I know he restarted it with a goal kick. It’s a good thing for all of us that we know that we need to stay focused at all time and can learn on every stage of our careers. if the goal keeper touches before it goes in would that be considered a goal? the LOTG only mention that you need to retake it when “the ball is kicked directly into the goal”. In your example it is not. But be aware that raising the hand anyways, prevents you from coming into situations like this. Any player must touch the ball before it enters the goal for the goal to be valid. So, had the keeper touched the ball, it would have been a goal. Of course, one can then speculate that (if the GK touched the ball), if the goalie had known that it was an IFK, he might not have attempted to play the ball at all, and thus would have been influenced by the referee’s failure to signal, but the LOTG would not protect the goalkeeper here.